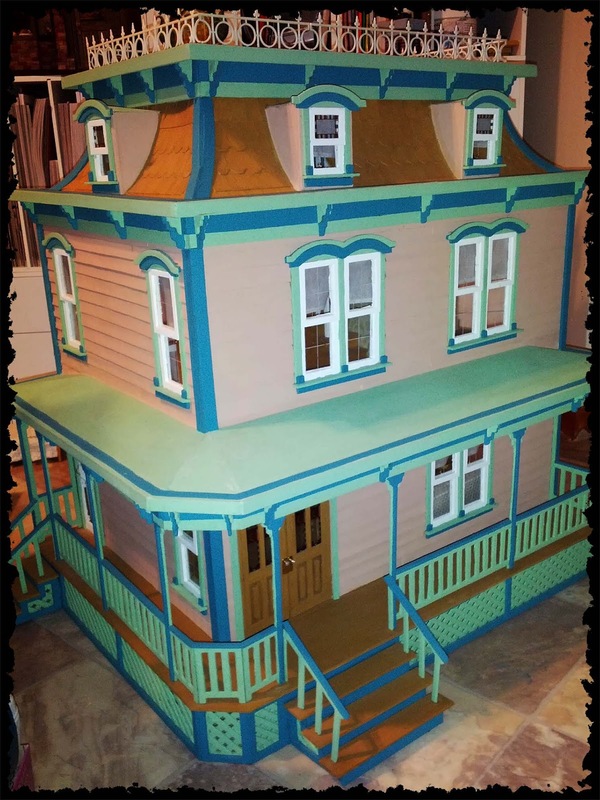 I got to meet a fellow miniaturists in person a few weeks ago… She was in need of some space in her house and was offering up a couple of her houses. I was more than happy to adopt one, so may I present to you my new Lilly. It came fully decorated inside and out plus a couple of surprises. Even though the fellow miniaturists was making room, I could not resist and brought a few made things from me as a thank you to her for the house. I'm not sure about you but usually when I make minis I always make a few extra of the same thing like books, flowers and baskets because I can always use them in a different room or scene or give them away. 8-) So that’s what I did and complied a little bag containing one of my paper baskets, flowers, couple of books and a crocheted doily. Hello Jennybee! I am so happy for you and your new Lily doll's house! I know that often times the need for MORE SPACE in our Real Life homes, determines just how much a person can reasonably keep! Sometimes, too, we just out-grow a dollhouse and want to refocus on something else. 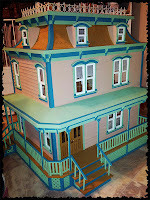 I gave away a totally furnished doll's house to a good friend of mine, many years ago for both of the afore mentioned reasons and I gave it to her, just because I knew it was going to a very good home. Your friend no doubt knows that you will foster this home and give it the attention that it deserves, How delightful for you both! I really want to know all the details of your new purchase. Please hurry up to show us.